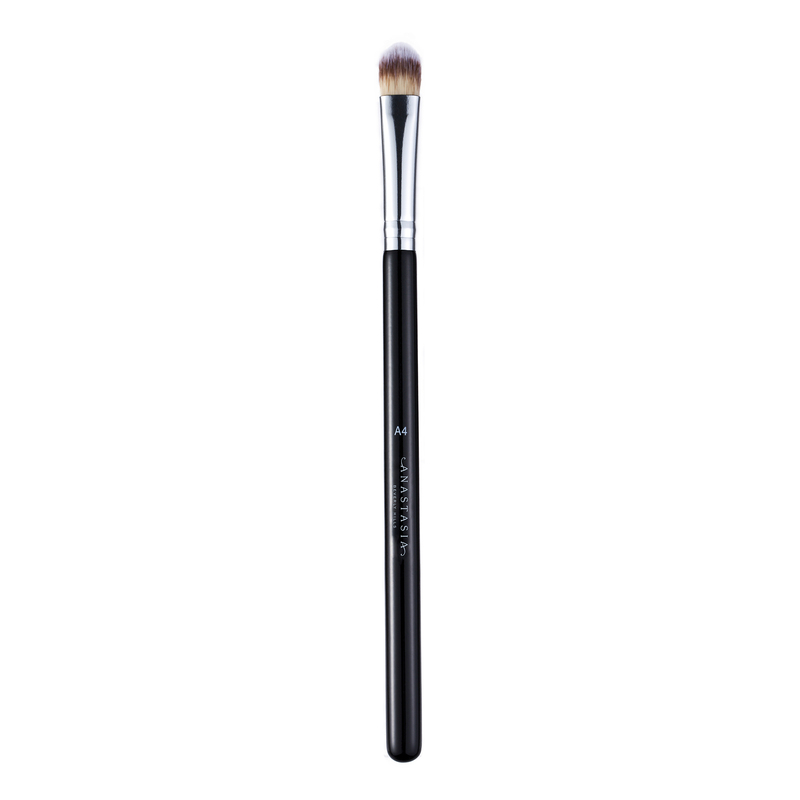 Anastasia Beverly Hills A4 Pro Brush is a flat brush with tapered synthetic fibers for multi-use application on the face and eyes. 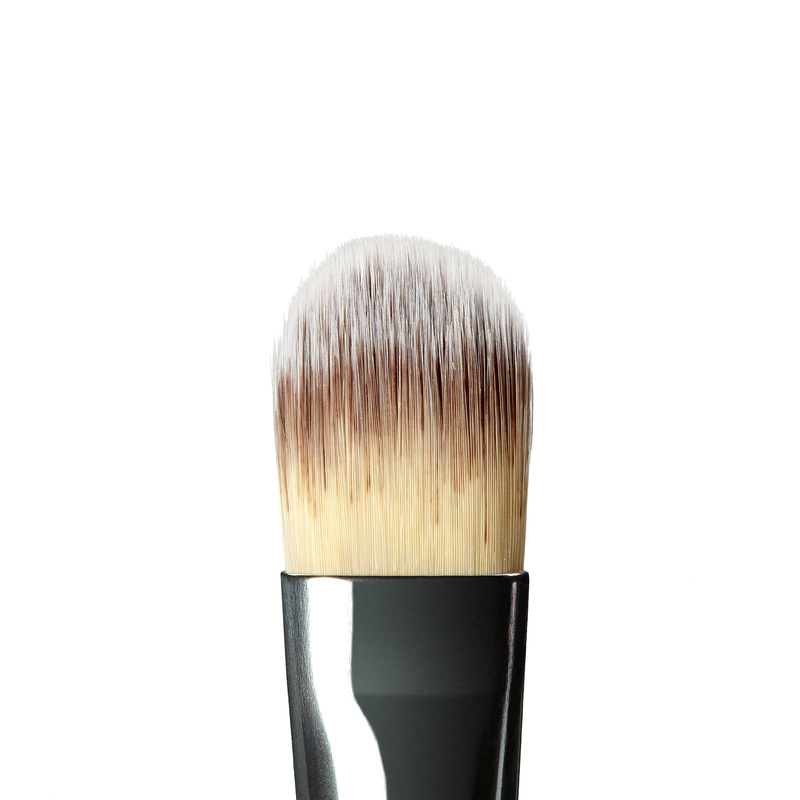 Applies powders and emollient-based products seamlessly. Use the flat side to deposit product for coverage. Then, use the round tip to diffuse and blend edges. Can be used wet or dry.